Leah graduated from Dun Laoghaire College of Art and Design in Dublin in 1996 with a diploma in Fine Art. 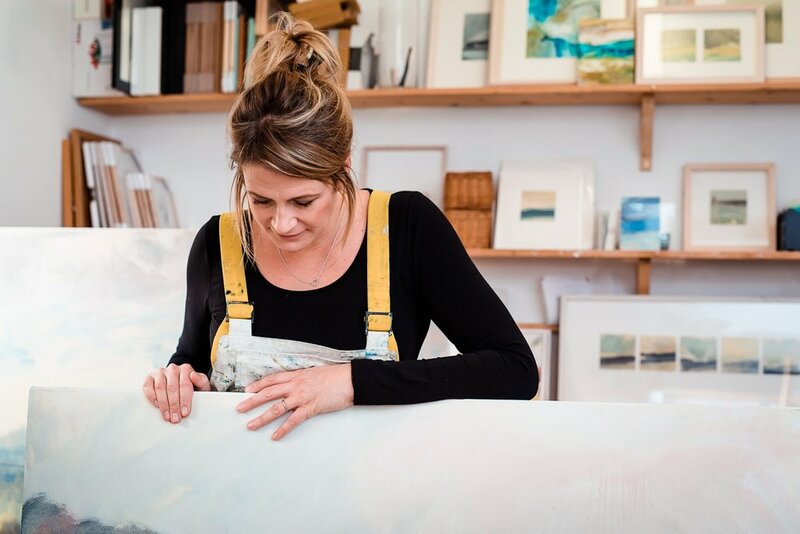 Originally from Dublin, she currently lives and works in Connemara, Co. Galway on the West coast of Ireland. Her work forms part of various collections in Ireland including The Doyle Hotel Collection, Deloitte Art Collection, Savills Ireland, Garda HQ, Office of the Revenue Commissioners, An Bord Pleanála, Microsoft Irish Art Collection, Dun Laoghaire Rathdown County Council (DLR), Charleville Hotel Rathmines and The Stephens Hall Hotel Leeson Street. In 1998 & 2000, Leah was commissioned by the Office of Public Works to develop ten specific pieces which hang in the National Concert Hall and the Department of the Taoiseach respectively. She is a founding and active member of uachtarARTS, a community arts group in Oughterard, Co. Galway. In 2011, 2013 & 2017 she was awarded an Individual Artist Bursary from Galway County Council, and a purchase prize from the 2013 DLR Open Submission.